Are Buying Medicines Now Easier With New Emerging Mobile Apps And Software? HomeHealthAre Buying Medicines Now Easier With New Emerging Mobile Apps And Software? Proven leader and part of Top Management with board level experience, Dr. Sujit Paul, aged 42, has worked for diverse organizations such as Retail, Hospitals, Health and Wellness industries. With his broad array of experience, Dr. Paul has an extensive exposure to multi-national as well as large and medium-sized organizations in various corporate culture such as Columbia Asia Hospitals Pvt. Ltd as a Vice President, TCDL - Retail and Online Wellness and Pharmacy Chain as a Sr. Vice President, Emeditek Services Limited, Apollo Hospital as GM, City Info Services Pvt. Ltd as GM, Chandras Chemicals Ent Ltd. as aHead Marketing (Product Manager), Kodiak India Ltd. as a Photoshop Coordinator, Bata India Ltd. as a District Manager and as a Territory Sales in charge at Asian Paints. In today’s hectic world and fast-changing environment, people are always looking for ways to make their lives easier. With technology and internet becoming more and more entwined in our lives, many mundane things like shopping have become easier. One can now shop for clothes, electronics, furniture, books and even medicines without in their free time, without having to haggle with retailers! Buying medicines online saves the time of the person as they don’t have to physically go and buy medicines. With such apps, you can easily buy over the counter drugs without having to wait in lines or getting told that the medicine that you are in need of isn’t available. In other situations, all you have to do is upload a picture of the prescription and seamlessly buy the medicine required. There are many people are not comfortable with others knowing their health conditions. 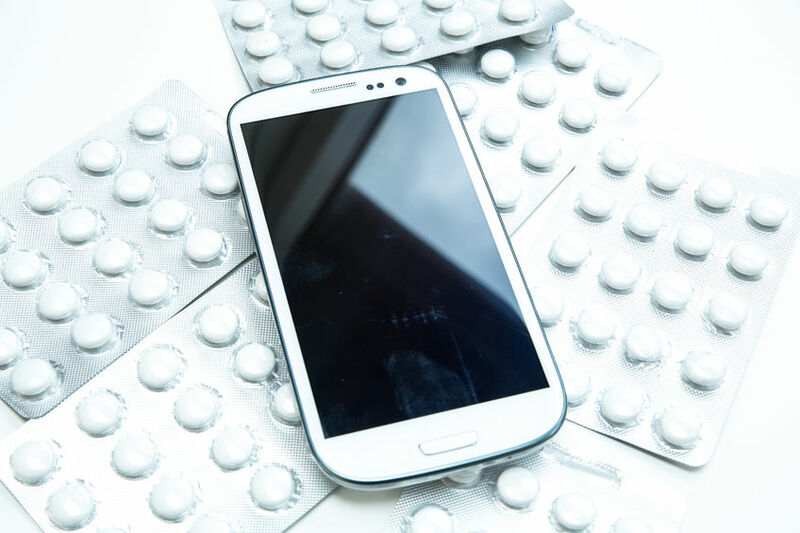 App-based pharmacies provide them with an option to easily get their medicines without having to have a dreaded conversation about their condition. This preservation of privacy is a plus point for people who are looking to buy medicines for their mental health or sexual health, but don’t want to be upfront about it. Since there are no actual stores,the operations and rent expenses do not add up to the prices of the medicines bought online. These platforms also present the customer with different generic options of the medicines so that they can make a more educated purchase.Moreover, many such e-pharmacies have offers running across their apps and websites on bulk orders of prescription medicines. All of these things help the consumer save money in the short as well as the long term. If your local pharmacy isn’t stocking the medicine you need, traditionally, you’d have to drive around the town just to get them. However, with online pharmacies going from one pharmacy to another is as easy as switching tabs. One can easily compare prices, delivery options and availability of generics from their phones. People can also use these platforms to have a better overview of the average price of a certain medicine. There is a mobile revolution going on in India as internet is penetrating far off areas of the country. This has made available quality facilities and services to the people who prior to this, had to make do with substandard provisions. People in these areas are now turning to the internet for a variety of reasons amongst them is buying medicines. Usually, in tier 2 and tier 3 cities, the pharmacies are poorly stocked and cannot cater to the need of the public. In areas like these, e-pharmacies are providing the people with the best of healthcare. People now can easily order medicines and their generic variants which aren’t available to them off the internet from their homes and be assured that they are of great quality. Online pharmacies have emerged as a saviour for people who are either confined to their beds or house because of their ailments. The presence of these pharmacies has made buying medicines easier for people living alone with a disability or people dealing with a contagious disease. The advent and growth e-pharmacy is proving to be a boon for the people of the nation. This emerging trend in the healthcare industry is not only promoting ease of sale and dissemination of medicines indiscriminately; it is also promoting the use of generic medicines amongst the people. Backed by Digital India, the online pharmacy sector is making progress on the nation’s aim of providing quality healthcare to everyone. E-pharmacies are also giving a boost to the central government’s campaign Make in India with its stance on making available and promoting generic medicines on their websites and applications. Their presence has proven to be a much needed change to revolutionize the healthcare sector.